We'll Handle All Your Immigration Matters! Are you or a loved one facing a concern about your immigration status? Are you looking to sponsor a loved one to come and join you here in the U.S.? Are you facing a removal order and need legal intervention to remain in the country? If the answer to any of these questions is yes, it is advised that you seek proven legal counsel. United States Citizenship and Immigration Services (USCIS) policies are complex and sensitive to even small oversights. At Maui Immigration Law, LLC, we understand that navigating U.S. immigration laws can be daunting. Attorney Kevin J. Block has helped countless individuals and families in Hawaii secure solutions to their U.S. immigration issues. You do not have to face your immigration problem without a knowledgeable and compassionate Maui immigration attorney by your side. Are you ready to start exploring your options? Our Maui immigration firm is ready to hear from you. Contact us today to request a consultation with a Maui immigration lawyer. Maui Immigration Law, LLC recognizes the legal and logistical challenges immigrants here in Hawaii face as they strive to maintain legal U.S. status. 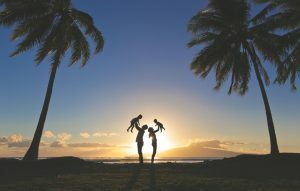 Our goal is to partner with these clients and their loved ones, put them at ease, and walk them through the Hawaii immigration laws that they need to resolve their issue. Want to sponsor a family member to join them here in the U.S. If you believe that you fall into one of the above categories, our Maui immigration firm is ready to hear from you. We can ensure that any paperwork submitted to the U.S. government is thoroughly prepared and that your or your loved one’s eligibility for legal status is compellingly articulated throughout every stage of their case. That’s what you should expect from our legal team at Maui Immigration Law, LLC. Call (808) 201-4303 today to speak with us.